Weer een mooie Soul Jazz verzamelaar met ’70’s werk van Lee. 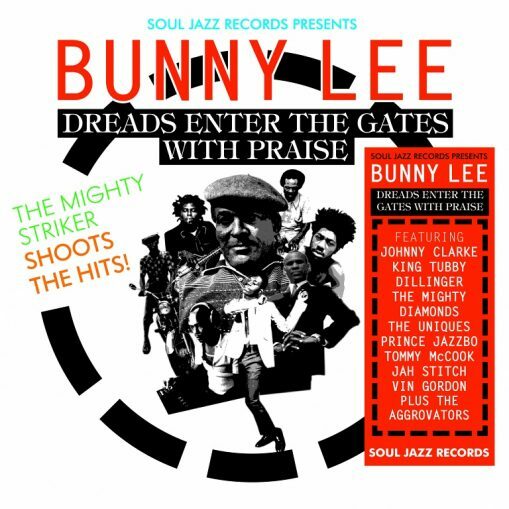 ‘Most of the recordings featured here come from the mid 70s, a time when Bunny Lee was definitely in the zone, releasing heavyweight singles at an almost unstoppable rate’. Op deze cd/3lp een beste greep uit Lee’s lekker heavy jaren ’70 produkties, ‘Featuring some of the heaviest Jamaican artists, including Johnny Clarke, King Tubby, Dillinger, Prince Jazzbo, Tommy McCook, The legendary Aggrovators (featuring Sly and Robbie), The Mighty Diamonds and more, the album is a rollercoaster ride of rare, deep and classic 1970s roots, dub and DJ sounds.‘ Hier de tracklisting. Hier een nummer, een geweldig nummer van Johnny Clarke.